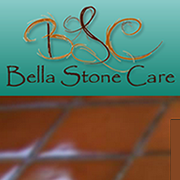 At Bella Stone Care, we bring very specialized training and years of experience to deliver results that you will be very pleased with. Imagine your marble or travertine floor restored to look as good as the day it was installed...or better! Your tile and grout cleaned and sealed. Your granite countertops cleaned, repaired, repolished, and sealed. At Bella Care we know how to restore the Wow! factor to your stone and tile...all at a fraction of the cost of replacement. My marble floor looks brand new! Awesome results, at a very fair price. My marble floor looks brand new. These people absolutely, know what their doing. I shopped around for two weeks. Then I found Bella Stone Care. No doubt I chose the right people.